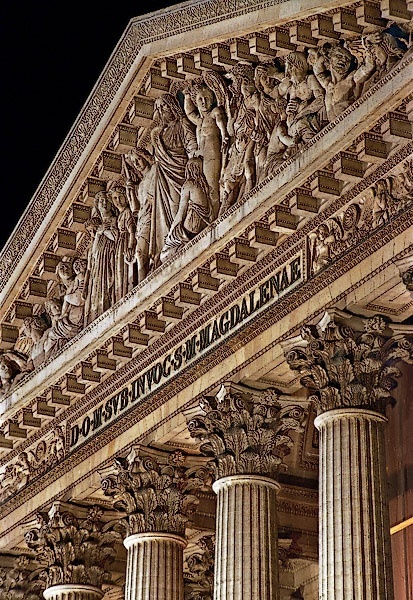 L'église de la Madeleine is a Roman Catholic church occupying a commanding position in the 8th arrondissement of Paris. The Madeleine Church was designed in its present form as a temple to the glory of Napoleon's army. To its south lies the Place de la Concorde, to the east is the Place Vendôme, and to the west L'église Saint-Augustin.